Thanks so much to Patrick Bailey for writing this interesting and timely article. Based on the available data from the Centers for Disease Control and Prevention (CDC), there are about 2.7 million to 6.1 million people in the US who experience atrial fibrillation (AFib): sometimes the heartbeats either are too fast or too slow. That’s a lot of people and experts from the government’s health agency is expecting the number to increase since the US population’s average age is rising. The prediction is that around 6 million to 12 million people in the US and 17.9 million people in Europe will be affected by atrial fibrillations in the next 30 or 40 years. Currently, the condition contributes to around 750,000 hospitalizations each year and an estimate of 130,000 deaths. Exercise may contribute to the onset or progression of AFib. There have also been studies about increased risks of AFib due to sports supplements and performance-enhancing drugs prohibited by the World Anti-Doping Agency. AFib is often undiagnosed since the condition doesn’t always have symptoms that are immediately noticeable. The symptoms of AFib may include shortness of breath, chest pain, weakness, palpitations, lightheadedness, or confusion, but there are also people with AFib who sense no symptoms at all. Thanks to recent technological breakthroughs, AFib patients, particularly athletes, are finding comfort through modern gadgets that can actually help them detect their condition. Dr. Mintu Turakhiathen, a principal investigator on Stanford Medicine’s Apple Heart Study, reported in March that preliminary findings showed promising results on the use of the Apple Watch to detect irregular heartbeats. The study, funded by the tech giant, was conducted virtually and involved more than 400,000 participants. The goal was to find out if Apple’s ECG app can identify AFib with the use of the pulse sensor that measures the heart rate. The sensor is built-in electrocardiography found on the crown of the Apple Watch. Participants placed a finger on the watch’s crown to record their pulse rate for 30 seconds. Data from the watch was synchronized on a phone and then sent to the patient’s doctor for monitoring purposes. Interestingly, the researchers found out that the gadget could help detect AFib before it happens. Based on their findings, 0.5% of participants who receive notifications for irregular pulse rate, which could be indicative of an AFib. The researchers viewed this as an important finding since they are concerned with the possible over-notification of the gadget. Thirty-four percent of those who got notifications for irregular heartbeat did have AFib. The researchers also found out that 57 percent of those who got an irregular pulse alarm went to their doctors for proper medical attention. These latest findings are welcome news for athletes who are suffering from atrial fibrillation. Being the most common cardiac arrhythmia experienced by athletes, particularly those who are cyclists or runners, AFib is definitely a concern for endurance sports enthusiasts. One of the challenges faced by these athletes is the management of the agents that control the rate and anti-arrhythmic medications that are linked to impairment of the athlete’s performance. The latest findings of the Apple Heart Study, on the other hand, showed that a wearable can have a role in affecting a person’s behavior. For instance, a 2018 article in Forbes gave a glimpse of how gadgets are being used to monitor student-athletes for heat exhaustion and other potential issues. Experts see that the study shows the potential of wearables on people’s wellness. Wearables are usually used to track temperature, steps, metabolism, heart rates and even the athlete’s location. They are very convenient and they can be synchronized through the software’s cloud system. Data can be viewed instantly and shared with coaches and even doctors. They don’t just come in the form of watches. Wearables can also be a compression shirt, a sports bra, a vest, or a belt. The use of this technology has been viewed as critical in boosting athletes’ performance and pushing the athlete’s boundaries. They also are convenient to carry around. 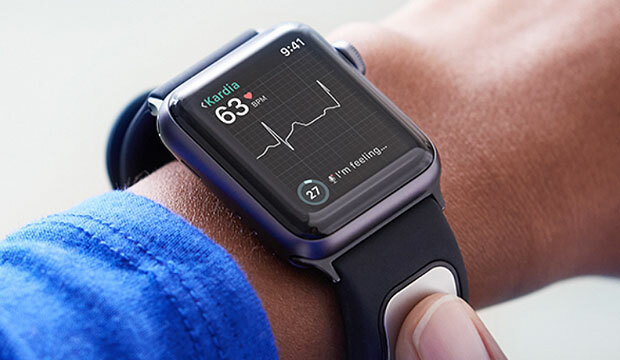 However, while the potential of wearable digital technology in preventive care was highlighted in the Apple Heart Study, some critics view it as too limited since it is not actually conducted in a randomized controlled trial. That is, it included no significant number of individuals not wearing the Apple Watch. Some people have also expressed concern that it would be too risky to rely too much on wearables and not consulting health care providers. For instance, people who do not have AFib but receive alerts of irregular heartbeats might think they have a risky heart condition. While It would be best to seek medical attention, such false positives could cause panic, take a physician’s precious time away from other patients who truly need medical attention, and could even result in unnecessary catheterizations. No one is claiming that Apple’s smartwatch is medical grade, not even the study’s researchers. With that said, it’s still up to the individuals to take responsibility for their health. How? Understand your body, speak up, and seek medical care. Wearables are not 100% accurate and cannot assess serious medical conditions. Valentine said information and data should be used responsibly and in coordination with evidence-based guidelines and tools. Another limitation is cost. Unlike smartphones, not everyone has a smartwatch already, and they sell for more than $300 each. Not everyone could afford it. AFib has been known to increase the chances of stroke by five-fold and a patient’s mortality by two-fold. Even too much physical activity can aggravate an AFib’s patient’s condition. It would be good to be able to track down one’s heart rate, but it would be best to know our body’s limitation. The best way to reduce the risk of AFib, according to the American Heart Association, is to promote a healthy lifestyle. Get regular physical activity. Manage high blood pressure. If diagnosed with AFib, get proper medication and maintain a healthy weight. If you suffer from substance abuse, get proper rehab drug treatment. While tech companies are keen on creating gadgets that will be part of the people’s lifestyle including for those with health concerns, the public should always keep in mind the basic needs to get healthy.